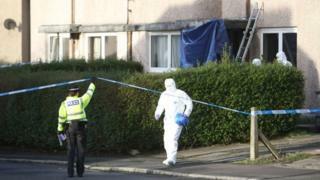 A man's body has been found at a house in Renfrewshire. Police were called to the property in Greenend Avenue, Johnstone, at about 10:45. Officers were treating the death as "unexplained". A Police Scotland spokeswoman said: "A post-mortem examination will take place in due course to establish the exact cause of death." A report will also be sent to the procurator fiscal.